Today I received the results of a 50/50 with Derek (aka scoreset on SG). He has come through for me time and time again... and this batch was no exception. Over 90% of the cards I sent were returned signed. You can't beat that! As always, thanks Derek! 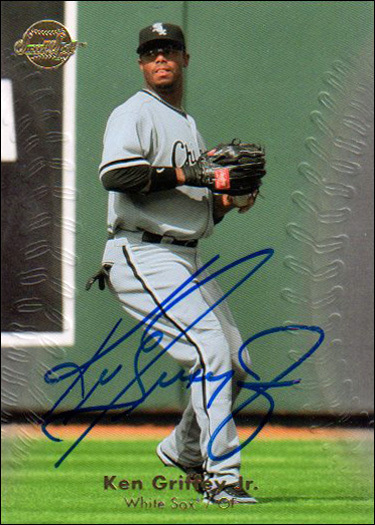 I just added the checklist for 2011 White Sox Topps to the site. This set comes prepackaged and is typically sold in stores such as Walmart. Like the recent Gypsy Queen release, there is a very notable player missing from the set. Where is Mark Buehrle? Click the image for the full checklist. Courtesy of Tommy Jackley, I am able to cross this toughie off of my UD Project wantlist. SCN member flautosonline recently did a very small cards-only signing with Ken Griffey Jr. I did not send in for the signing. Chris had a few extras available afterwards, and he gave me a fair price on two of the extras. 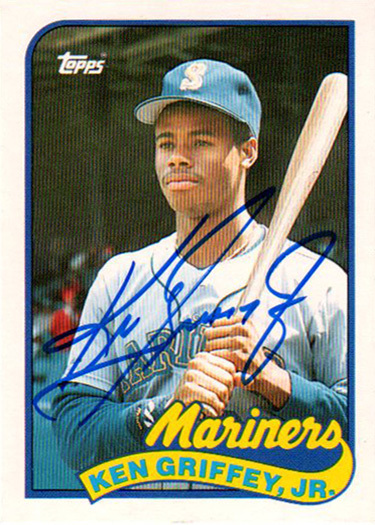 I really want a 1989 UD rookie for my collection, but apparently Griffey doesn't like signing that card. Ken Griffey Jr. is my least favorite athlete of all time. I cringed when the White Sox acquired him down the stretch in 2008. Not only was he pretty much done as a player, but that meant that I'd have to add some Griffey items to my collection. I can finally cross him off of my rookie card wantlist. I also picked up a 2008 UD Sweet Spot card signed by Griffey. It doesn't fill any specific needs in my collection, but I couldn't pass up an IP Griffey Sox card. I really like the artwork on the Gypsy Queen cards, even if the design itself is somewhat lackluster. I do have one question though. Where is Paul Konerko? He was by far the White Sox best player in 2010. Yet he does not have a Gypsy Queen card.